ThinkLink products are powerful, effective and unique tools to quickly get you thinking, seeing and implimenting Green Light solutions as quickly as you can flip a card. Convenient and portable, BOFF-O!®, The Problem Solvers System, and The Idea Activator are powerpacked tools ready to help you zoom past those mental roadblocks at work, home, school or any situation you need to quickly push your creative powers to Full Green Ahead! 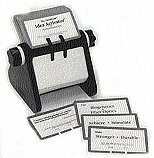 BOFF-O!® is a pocket portable card deck and The Idea Activator comes ready use on your Rolodex style base. 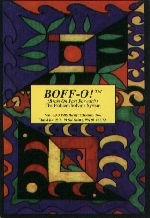 Use the BOFF-O!® card deck to create ideas for new products or improvements for products and services you currently offer. This amazing - and fun - brain energizing game helps you gain insights into new work options, new markets and increases your organization's creativity. Increase your value and effectiveness: build thinking, writing and problem solving skills, play BOFF-O!®, the Problem Solvers System. To order BOFF-O!®, available exclusively from Marilyn Schoeman Dow, ThinkLink, click here. Specialized sections in: General and Universal problem solving, Human Resource and Management problem solving, Business, Industry and Organization problem solving; Problem-solving techniques, suggestions and motivational quotes. To order The Idea Activator, available exclusively from Marilyn Schoeman Dow, ThinkLink, click here. 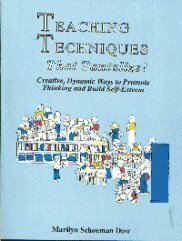 Do you know 5 most important techniques to promote creative thinking and creative writing skills Marilyn Schoeman Dow has taught to thousands (yes, thousands!) of people in her highly respected seminars? This amazing book will help you motivate, challenge and reinforce your students skills and abilities and potentials to new heights. Draw on over 30 easy and fun techniques that are facinating to learn and fun to teach. Order the incredible book here. 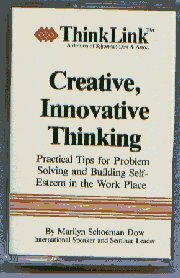 Use Marilyns' amazingly powerful tips and techniques for creative problem solving and to achieve greater satisfaction in the workplace. Order Creative, Innovative thinking here.